Singapore has spent much of this year staging events to celebrate its 50th anniversary as an independent nation. But nothing compared to the opening of the new National Gallery this month. Two of the island’s most iconic colonial buildings, the former Supreme Court and City Hall, dating from 1937 and 1929 respectively, have been spectacularly transformed into Asia’s largest visual arts institution, and the world’s first museum dedicated to South-East Asian art, drawing on a collection of 8,000 works. With a breathtaking view over the historic Padang and Cricket Club, the skyscrapers of the financial district and the most recent symbol of modern Singapore, the towering Marina Bay Sands resort, the new gallery is as big as the Musee d’Orsay in Paris or London’s Tate Modern – a statement of intent that this tiny island state is determined to be recognised as a major player in the global art market. Apart from being a showcase for Singaporean and South-East Asian art, the curators have already planned blockbuster temporary exhibitions in 2016 in collaboration with the Centre Pompidou and Tate Britain. 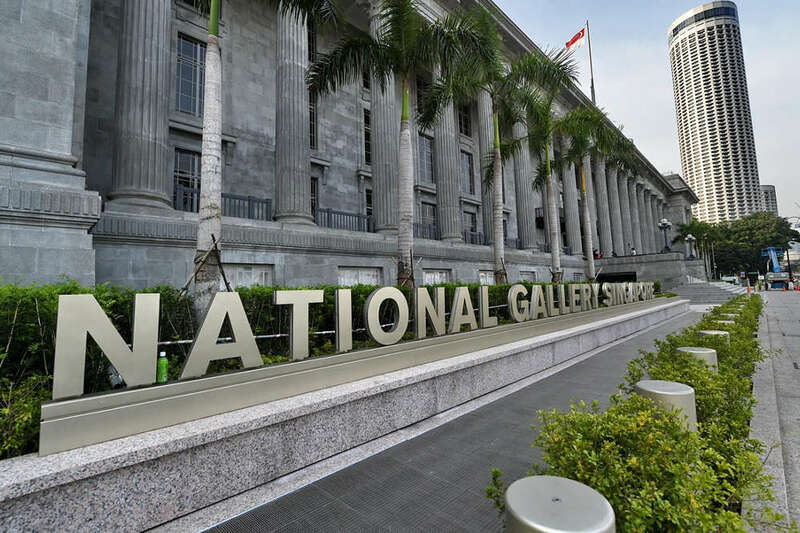 The National Gallery consists of two core permanent wings. City Hall houses the DBS Singapore Gallery, dedicated essentially to Singaporean art, from early 19th Century drawings, prints and watercolours, through the critically acclaimed, post-independence Nanyang group of painters, up until the present generation, who have made their voices known with more avant-garde installations, sculptures and videos. Cross into the old Supreme Court, where a wonderful cupola and the austere, wood-panelled courtroom have been preserved, and 16 galleries make up the UOB South-East Asia Gallery. For those unfamiliar with the region’s art, it is revelatory to discover the sheer diversity of styles and techniques, from traditional Chinese brush painting to abstract expressionist collages, with an eclectic selection of artists from Indonesia, Malaysia, The Philippines, Vietnam, Myanmar and Cambodia. After four years in the building, Singaporeans were eager to see how these two historic buildings have been transformed. City Hall is where Admiral Lord Mountbatten accepted the surrender of the Japanese at the end of the second world war; in 1959, Lee Kuan Yew declared Singapore’s self-governance from Britain here, then total independence in 1965. More than 100 architects from around the world pitched ideas for the new gallery, and the one selected, by Studio Milou Architecture from Paris, came up with a brilliantly simple solution that both respects the original buildings and creates a stunning modern structural vision. The neoclassical facades of both the Supreme Court and City Hall have been left virtually untouched but the two are merged into one by a mesmerising new roof that drapes over and unites the monuments like a shimmering filigree metallic veil. Inside, a series of soaring bridges and tree-like struts connect the two buildings, with immense atriums filled with natural light, filtered through the pale golden mesh that rolls across the roof like a sheet of woven rattan. Down below, a huge basement has been created to handle the flow of guests in and out of the museum, while a new garden space on the roof is home to casual and gourmet restaurants, and stylish terrace bars with views over Singapore. This article was written by John Brunton from The Guardian and was legally licensed through the NewsCred publisher network.